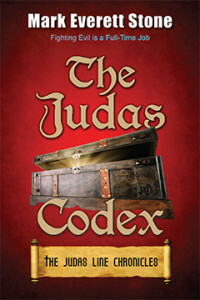 What inspired me, or better yet was my genesis (pun intended) for writing The Judas Line was my desire to explore my own faith. As a Christian and a man of logic, I certainly don’t believe in magic, but as a writer, I always have magic at my fingertips. I wanted to write a fantasy that takes God and magic into account. Most magic was a reflection of the divine spark that God imbued upon mankind and the world and I wanted to play with that idea. I also felt this concept would be different enough and bold enough to attract readers. How did you research this series? Three words: Google, Wikipedia, Google. Then repeat. It also helps that my wife is Catholic and provided me with some insight, which is my connection to Catholicism. Without including any spoilers, where do Books 2 and 3 take your characters? Books 2 and 3 will take Mike farther into the past, to the beginning of the Family all the way to what could be called the Ultimate Confrontation. I also introduce new characters that I hope will prove intriguing. What kind of fan feedback have you had? Most of the feedback so far has been wonderful. To date this has been my most critically acclaimed book and I could not be more thrilled. My hope is that 2 & 3 will also be well-received. 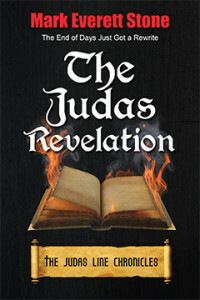 Were you surprised when some reviewers called it a Christian-themed book? I couldn’t care less if the books are considered Christian-themed, although to be honest it would be a disservice to the trilogy because I believe they are more about friendship and the choices we make rather than God or the Devil. I think of the books as Fantasy against a Christian backdrop. In this series, you combine the history of Christianity with several other mythologies. What was your initial exposure to Greek mythology? My initial exposure to Greek mythology came from my Dad. He was an English professor and had an old copy of Edith Hamilton’s Mythology hanging about, and one day I decided to pick it up because it had some cool drawings. Within two minutes I was captivated and devoured the entire thing. I then went on to read the Odyssey and the Iliad. I believe I was about seven at the time. What other mythologies or literary or cinematic fantasy worlds do you pay homage to in this series? In this series I certainly pay homage to Norse and Greek Mythologies, as well as some of the fantasy works of Thomas Sniegoski. As for others, not so much, except an interesting take on artifacts and their powers. Did you ever watch those old Hollywood movie blockbusters—like Ben Hur, The Robe, Jason and the Argonauts? Did they have any kind of impact on your writing? You bet your sweet bippy I did. Watched them over and over again along with Spartacus, The Ten Commandments and every Sinbad movie ever made. Most of the old Cecil B. DeMille movies had a lot of action to keep the pace going, which I incorporate in my writing because, like the Jason and the Sinbad movies, I wanted to write purely to entertain, to provide a few hours of fun escapism. I only hope I have succeeded. 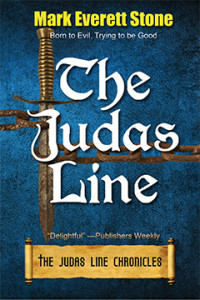 If The Judas Line were a movie, who would you like to see cast in it? Anyone else is a grab-bag of your imagination.